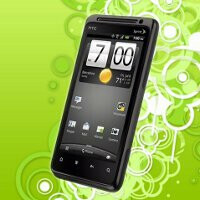 Even though the HTC EVO 4G LTE is buzzing throughout the Sprint universe, we still can’t forget about the newest EVO branded device on the market – the HTC EVO Design 4G. Call it the baby EVO or whatever, but this pint sized smartphone is receiving a minor over-the-air update as we speak. If you haven’t done so already, you can manually check for the software update, version 2.12.651.8, if you haven’t seen that notification hit your smartphone. Well, there’s nothing particularly exciting about this latest one – that’s because it mainly consists of security fixes and nothing more. Yeah, we know, we were all hoping for some better news like Android 4.0 Ice Cream Sandwich, but nonetheless, it is what it is. Therefore, we’re certain that most handset owners will appreciative of it all. Of course, owners are still gladly waiting for that next big one. On the other hand, that HTC EVO 4G LTE looks mightily tempting considering it’s going to have both the latest version of Sense and Android out of the box. At this point, it’s nothing more than a waiting game to see which one comes out first. Lastly, it’s worth noting that you might not see the update even if you manually check for it – that’s because it’s being released in stages according to Sprint. Just did the update on my htc evo design ~ after it was done it said it was successfully updated to 2.12.651.8 710RD ~ any idea what the "710RD" is all about ?